Retro Tickets Brush Pack - Free Photoshop Brushes at Brusheezy! Now you can create your own tickets and passes with an awesome retro flair! With this new Retro Tickets Brush Pack, you'll be able to design the perfect movie night ticket, fair posters, concert fliers and more with these retro brushes. 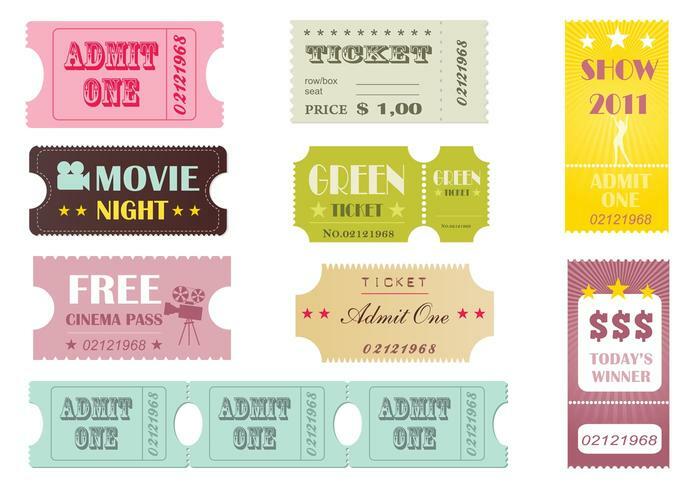 Head over to Vecteezy for the vector version and download the <a href="http://www.vecteezy.com/Random-Objects/32410-Retro-Tickets-Vector-Pack/premium">Retro Tickets Vector Pack</a>!